This is Michael Bay's Passion Project? 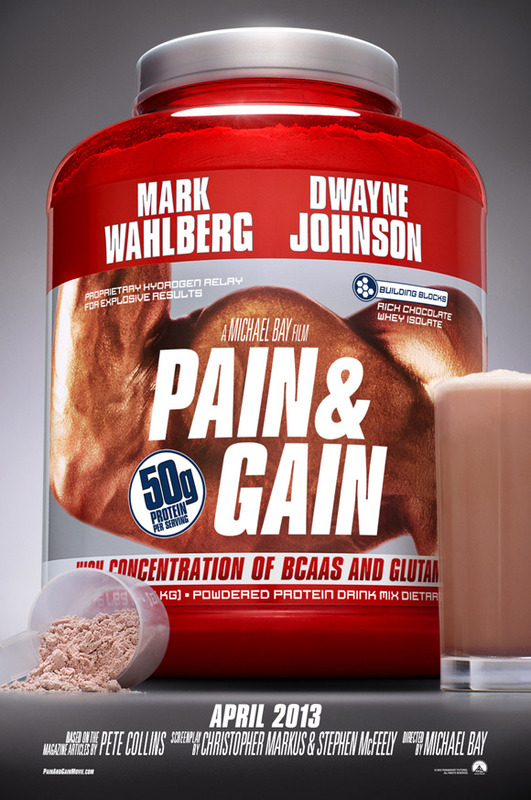 Pain and Gain is all brawn and no brain! 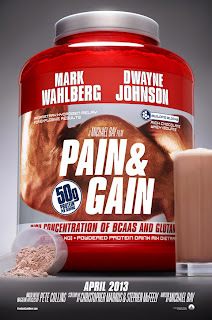 Pain and Gain tells the true story of personal trainer Daniel Lugo's (Mark Wahlberg) messed up attempt to give himself and two others, his best friend and workout partner Adrian Doorbal (Anthony Mackie), and recently released cocaine addicted thief Paul Doyle (Dwayne "The Rock" Johnson), the American dream. The three men hatch an unbelievably true life plot to steel Victor Kershaw's (Tony Shalboub) life and fortune and chaos ensues, unraveling their lives around them in big part to the brains of private investigator Ed DuBois III (Ed Harris) but also because of the lack of brains of the three leads. This movie represents all the things that are wrong with not only Michael Bay the film maker, but perhaps also Michael Bay the person. Bay glorifies and tries to make a comedy out of the true story of three murders' journey of utter greed, no matter the cost, in the 1990's. 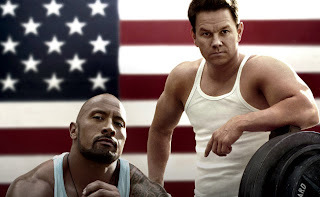 I have to give Bay credit: he actually makes this work for the first half of the 2 hour and 10 minute film, due in big part to the strong performances of Wahlberg, The Rock, and Mackie and the rapport they have throughout the course of the film. That works until you learn that the three hilariously entertaining leads are actually real life murdering scumbags, who at the end of the film leave you sick realizing you were ever even entertained by them. Even worse is the fact that someone would waste $25 million dollars for making this film.  Way to go Michael Bay and Paramount! Even beyond the pile of loud noises and sickening plot Bay considers a film, there are a few bright spots. The film is shot beautifully and Bay does an amazing job of capturing the 90's feel that made Bay loved for films like Bad Boys and Armageddon (Only you love Bay for Armageddon, Brad- *Editor*). Beyond that, Bay provides a commentary on the "live the American dream" (If you deserve it, life will serve it) mentality of the 1990's, even if it was a thoughtless one. My colleagues would tell you that it is a guilty pleasure of mine to be a Michael Bay fan, at least as a film maker. I always seem to find the simple, over the top pleasure of a Bay film. Admittedly, Armageddon is my third favorite film of all time (Please don't stop reading now). However, even as a closet Bay fan (Not anymore- *Editor*), I cannot give him a pass on the waste of film that is Pain and Gain!